B0022C	MIRROR LARGE HEAD & STEM S.S. PAIR ! We have a big choice in 'easy fit' speedo cable sensors No cutting of cables, just mount between speedo and speedo cable! Most of these sensors are commatible for Brantz - VH Trip - Retrotrip - monit - instruments. 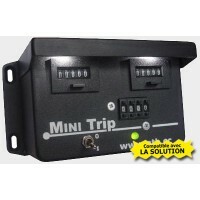 IR010 UNIVERSAL SENSOR 18 X18 4MSQ IR..
IR130VHM VH MINI TRIP & WHEEL SENSOR MINITRIP is the most economical Tripmaster with mechanical display on the market! Two major modifications have been made: Lighting LED white "High brightness". ..
IR130VH VH TRIP 'led lamps' COUNT DOWN MEMORY FUCTION ! 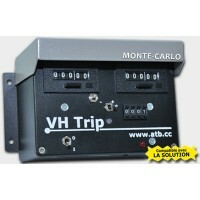 ONE ON PROMO PRICE...PLEASE E-MAIL alu case dimensions : High 80 mm Wide 140 mm Deep 90 mm POWER SUPPLY 6V à 16V 2 me..
IR130VHMC VH TRIP MONTE CARLO MONTE CARLO Special Edition USER MANUAL VH TRIP Monte Carlo Special Edition Unique Feature. Flicking the switch located under the left side display activates this special feature. 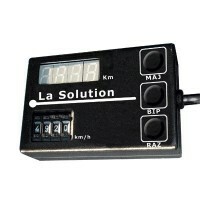 To lower the read out value: Keep the switch flicked to the righ..
IR130LS VH LA SOLUTION The Solution is a average speed calculator of the new generation. 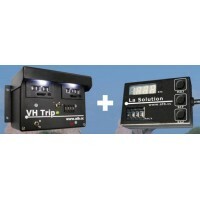 It works in tandem with a VH Tripmaster and allows you, in real time, to know your advance or your delay in comparison with the programmed average. Very simple to use. The Sol..
IR130VHU VH TRIP EXTRA COUNTER ..
IR130VHT VH TWIN DOUBLE CALI COUNT DOWN MEMORY FUCTION ! 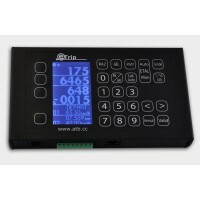 Two calibration systems and possibility to plug in two extra counters Extra counter IR130VHU alu case dimensions :High 80 mm Wide 140 mm ..
IR130VHE ETRIP IR130VHED New optional ETRIP REMOTE DISPLAY &..
IR195 ATB AVERAGE SPEED CALCULATOR Average Trip Box gives you the perfect time / distance calculation for any speed from 00,01 to 99.99 km/h or ml/h easy to use, works on a 9v battery no connections to the car needed pre programming with of new average speed whilst cou..
IR130Y VH TRIP WHEEL SENSOR HAUTE TEMP High temperature wheel sensor fro us on disc brakes ..
SPEEDO AND GEARBOX SENSORS DIRECT FIT PLEASE CONTACT US FOR MORE INFO These sensors work only on VHTRIP - ETRIP - RETROTRIP - BRANTZ ! 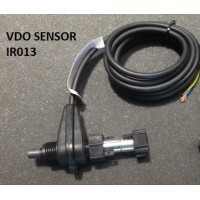 IR010 UNIVERSAL SENSOR 18 X18 4MSQ IR011 SENSOR FLAG KIENZLE 22X1,5 IR012 SPEEDO SENSO..